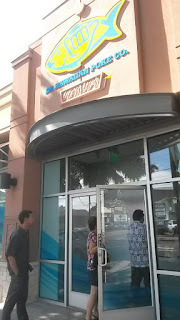 Da Hawaiian Poke Company is located on Kapahulu Avenue in Honolulu, Hawaii. After reading a few rave reviews online about this place, I came here for lunch on a Monday while visiting family. It's a small place with no indoor seating; you can eat at the two benches just outside the building. 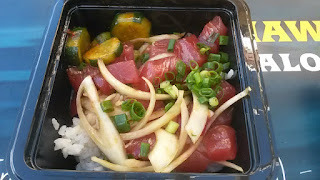 Poke (poh-kay) in Hawaiian basically means to cut (insert protein here) into sections, then combine in a salad-like form with ingredients like sesame oil, white Maui onions, green onions, and soy sauce. 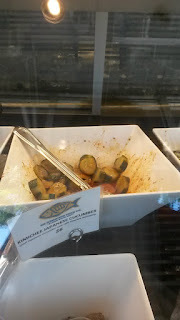 It's traditionally made with raw ahi tuna, but other seafood can be used. 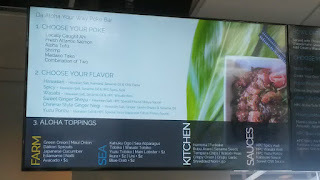 Other types of non-traditional poke can be spicy or have various Asian fusion flavors. For vegetarians, tofu poke is even an option. Basically, you can make your own poke (choice of protein, sauce, and toppings) or you can pick from the choices already in the glass case. You can get just the poke by the pound (or fraction of a pound) or get a bowl. There are tons of combinations, and it made me feel like I needed to go at least twice to get the hang of it without feeling like I was holding up the line. I got the Wasabi Ahi Poke Bowl ($10 regular) with brown rice and kimchi cucumber. 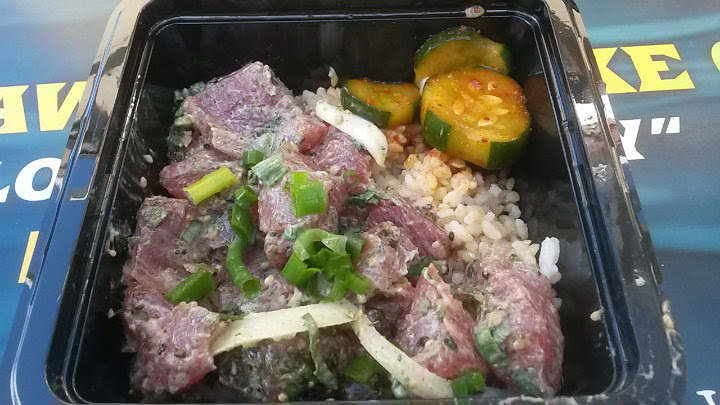 The poke contains local ahi tuna, Hawaiian salt, sesame oil, house-made wasabi aioli, wasabi tobiko, and green onion. 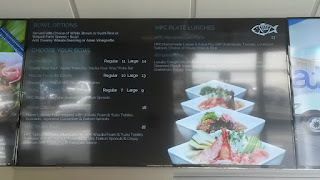 You then get your choice of rice (white, brown, or sushi rice) and choice of side (ranging from potato salad to kimchi). 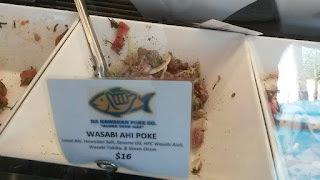 This poke was decent and had decent wasabi flavor and the heat didn't go up the nose at all. The kimchi had good crunch and was mild at best -- so virtually anyone can enjoy it. 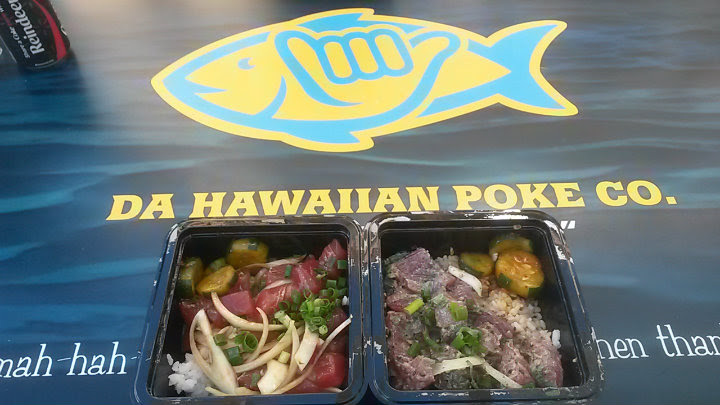 When it comes to making your own poke, we tried that as well. My folks wanted to combine ahi tuna with the house-made Sweet Ginger Shoyu sauce, topped with Maui onions and green onions. Simple and delicious with sushi rice and more kimchi cucumbers. 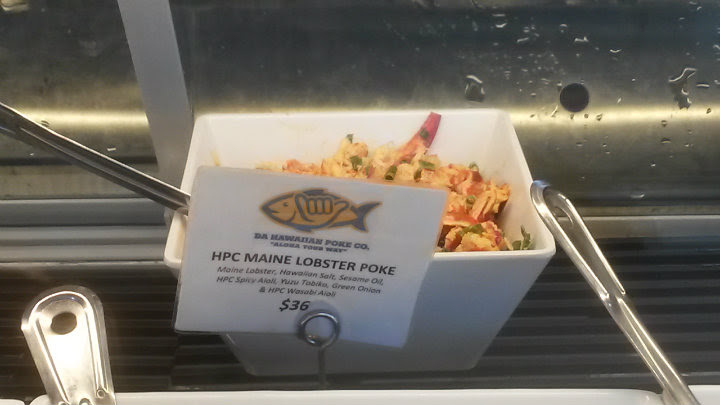 Frankly, I enjoyed this more than my own wasabi poke dish. Yet again, parents know best. All bowls will have a healthy amount of rice and anywhere from 5 oz (regular bowls) to 8 oz (large bowls) of poke. If you have the money to splurge, there's also a Maine Lobster Poke at $36 per pound (contains Maine lobster, Hawaiian salt, sesame oil, house-made spicy aioli, yuzu tobiko, green onions, and house-made wasabi aioli). 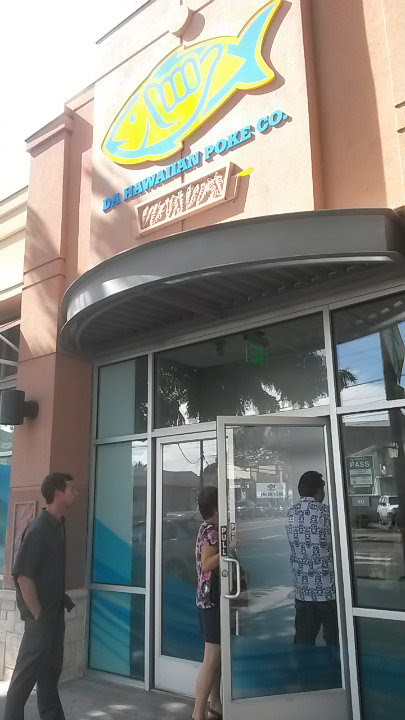 Like I noted above, it is a pretty small space, with room for a line to order and then head out the door. Next time, I should be good to go on how to order without taking an eternity to figure things out.